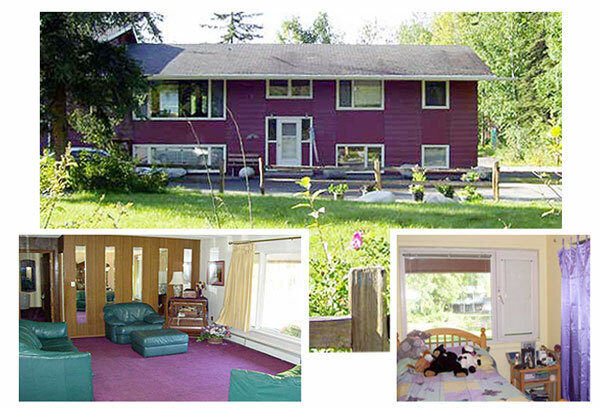 ​The Mitchell Home provides Level 3 residential treatment for five girls ages 12-18. Girls are typically in the custody of the State of Alaska, however, we do accept some private family placements. Using evidence based teaching family model, we provide treatment to females presenting with diagnoses such as FASD, ADHD, conduct and co-occurring disorders. Youth admitted to this program are typically academically behind their peers and are labeled severely emotionally disturbed. Young women are working on returning to their natural or foster families or their own apartment and also learn pro-social behaviors and skills to help them achieve their goals in life. Mitchell is a female only, Level 3, long-term treatment program, providing behavioral rehabilitation services to five youth ages 12-18 with staff to client ratio 1:5. Residents stay an average of one year. 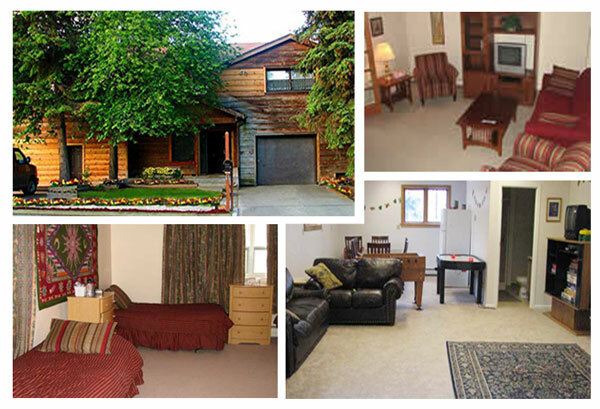 The Silverberry Home provides Level 3 residential treatment for five boys ages 12-18. Most youth are in the custody of the State of Alaska, however, we do accept private family placement. Using the evidence based, teaching family model, we provide treatment to males presenting with diagnoses such as FASD, ADHD, conduct and co-occurring disorders. Youth admitted to this program are typically two years or more behind their peers and are labeled severely emotionally disturbed. Clinical assessments, individual and group therapy, provided by our clinical staff result in measurable improvement. Teaching family staff works closely with families, school personnel, juvenile probation officers and social workers to help youth develop a positive character, academic discipline, and work ethic. Young men are working on returning to their natural or foster families and also learn pro-social behaviors and skills to help them achieve their goals in life. Silverberry is a male only, Level 3, long-term treatment program, providing behavior rehabilitation services to five youth ages 12-18 with a staff to client ratio of 1:5. Residents stay an average of one year. The Bias Home provides Level 3 residential treatment for five boys ages 12-18. Most youth are in the custody of the State of Alaska, however, we do accept private family placement. Using the evidence based, teaching family model, we provide treatment to males presenting with diagnoses such as FASD, ADHD, conduct and co-occurring disorders. Youth admitted to this program are typically two years or more behind their peers and are labeled severely emotionally disturbed. Clinical assessments, individual and group therapy, provided by our clinical staff result in measurable improvement. ​​Chena Hot Springs is a Level 3 treatment program for adolescents 12-18 who have sexually offended and have co-occurring disorders such as FASD, ADHD, and conduct disorders. Most youth are in the custody of the State of Alaska, however, we do accept private family placement. Youth admitted to this program are typically two years or more behind their peers and are labeled severely emotionally disturbed. Clinical assessments, individual and group therapy, provided by our clinical staff result in measurable improvement. Chena Hot Springs is a male only, Level 3, long-term treatment program, providing behavior rehabilitation services to five youth ages 12-18 with a staff to client ratio of 1:5. Residents stay up to two years. ​Seventh Avenue Emergency Stabilization and Assessment Center serves youth in the custody of the State of Alaska as well as youth in custody of their families. Youth can also bring themselves to Seventh Avenue if they need a safe place to stay. Youth come to Seventh Avenue Emergency Stabilization and Assessment Center for many different reasons and because of this, the staff strives to work with each person and their family individually. Some youth may stay for several weeks and others for only a few days or hours. The program is welcoming and supportive of all youth, no matter why they are here. Families may also need a "time-out," and this is a common reason for a placement. The program has full-time clinical staff that provides assessment and group therapy as well as individual therapy. The staff works closely with families. Mediation services are provided as well as treatment team meetings. The shelter also regularly provides services to youth waiting placement in other PHH programs as an assessment, safety and stabilization for youth between placements. Seventh Avenue Emergency Stabilization and Assessment Center is an emergency shelter program, providing behavioral rehabilitation services to three youth ages 12-18 with a staff client ratio of 1:5. Two community beds are currently unfunded. The program is welcoming and supportive of all youth, no matter why they are here. Full-time clinical staff provide assessment and group therapy as well as individual therapy where indicated. The staff works closely with families. Mediation services are provided as well as treatment team meetings.